As I reflect on my recent pastoral anniversary I've had cause to reflect on three of my most significant pastoral paradigm shifts. 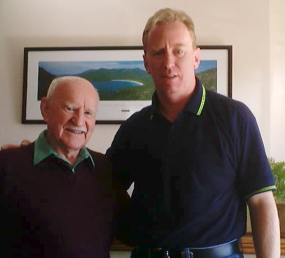 I think I was about 17 years of age when I approached my then pastor, Joseph Bowes, to talk about the growing sense of God's call on my life to pastor. I had assumed that all young men about that age felt a similar call. Pastor Bowes informed me that this was not the case. 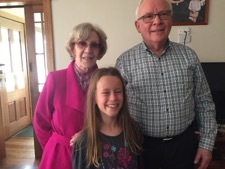 It was around this time in the 1980s that I first met Pastor Trevor Chandler who had become an annual visitor to our Geelong church (as he came down from Queensland to Victoria for INTERMIN). But this time (the 1980s) was a bizarre time for Bible Prophecy pundits. It was Trevor Chandler who first sowed the seeds into my soul to investigate rather than blindly accept Dispensational Futurism (which was the predominant view in most Evangelical and Pentecostal churches at the time). And I did. My investigation has been shaped by a commitment to the four classic principles of hermeneutics and my interactions with a family member involved in a cult. It was these two factors which led me to write two books about Bible Prophecy (the first one published in 2004 and now has sold over 20,000 copies) and hundreds of articles published on my website which have so far received over 1.13 million views. 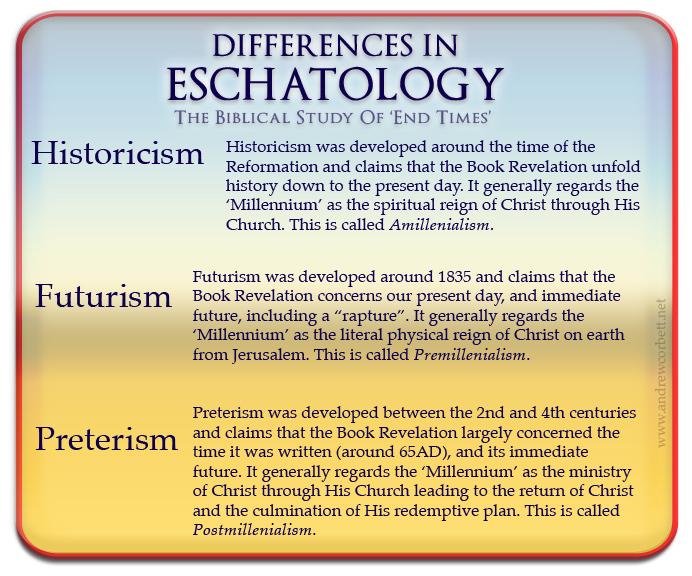 My conclusions about eschatology is the third of my pastoral paradigm-shifts and has greatly enhanced my pastoring. Here's how. 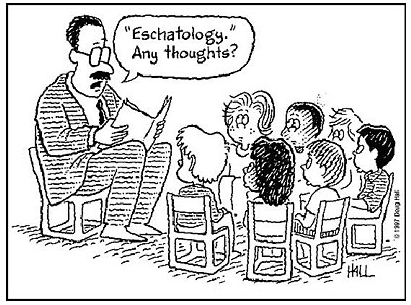 I undertook a College course in Eschatology (from the Greek word, eschaton meaning 'last things') in 1991. Even though the course was delivered by a 'Futurist' College, the course coordinator exposed his students to various views about Bible prophecy. Futurism (refer to the graphic below for a description of these terms) did not fair well under rigorous scrutiny in this course. 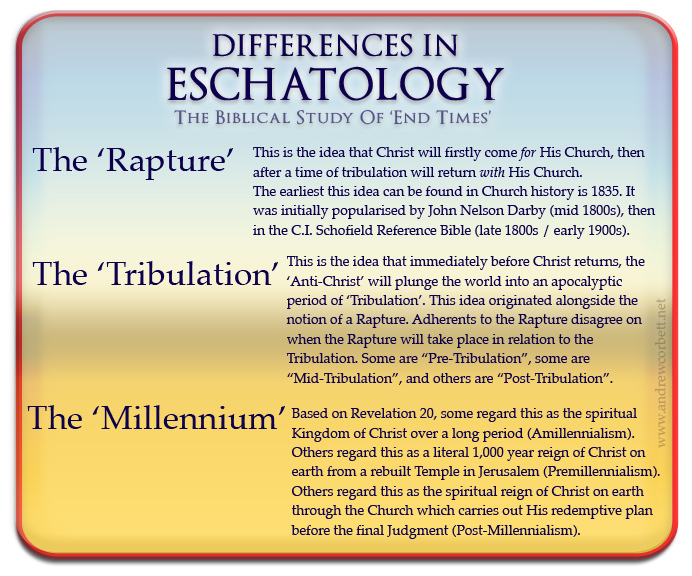 We were required to read Options In Eschatology by Prof. Millard J. Erickson, and The Revelation of Jesus Christby Dr. John F. Walvoord. The first book dismantled 'Pre-Millennial Futurism' and showed why it lacked Biblical credibility. The second book was about Pre-Millennial Futurism, including a Pre-Tribulation Rapture. The course coordinator showed the irreparable problems with Dispensational Pre-Millennial Futurism, but the College required that Dr. Walvoord's book be read and understood as the position we were required to accept. After completing this formal study in Eschatology, I had a clearer view of what I didn't believe than what I did. My doctoral research was largely in Church History. This exposed me to the progress of Christian thought down through the centuries. It became increasingly obvious that what most Christians held to today regarding Bible prophecy, the ancient Christians had never heard of! Dispensationalism is a way of looking at the Bible. It divides the Bible in a series of dispensations of time and attributes a different means of salvation within each dispensation. Under the Dispensation of Law, a person was saved by keeping the Law. Under the Dispensation of Grace, a person is saved by faith in the finished work of Christ. The idea of Dispensationalism at first sounds reasonable. But as I became increasingly familiar with Church History and the art and science of Hermeneutics (how we interpret the Bible), I found Dispensationalism (which most Pentecostals hold to) untennable. On both counts, I found that Dispensationalism appealed to Church History by reinterpretting it. For example, Jerome (347-420) used a Latin word that sounds like 'rapture' in English, and this was used to justify the Rapture doctrine. Biblically Ezekiel refers to a people which in Hebrew sounds like 'Rosh' which Dispensationalists claim refers to modern day 'Russia'. When I began to dig a little deeper I found that even the verses used to support the idea of a 'rapture' were generally about either the Roman bombardment of Jerusalem where random people would be killed (and the Jewish Historian, Josephus, describes) or the final resurrection. But the most disturbing aspect of Dispensationalism was its dependence on its new ways of interpretting the Bible. For its interpretation to work, it had to invent some new 'laws' of interpretation including, The Law of Double Reference also called, The Rule of Dual Fulfilment. One proof-text is offered in support of this: Isaiah 7:14 "Behold the virgin shall conceive". It is claimed that this was first fulfilled with Isaiah the Prophet's wife, then again with the Virgin Mary. But there are some serious problems with this idea. Firstly, there is no hint in Scripture that Isaiah's wife was the intended fulfilment of this prophecy (and I strongly doubt that she was a virgin!) and there is a plain statement in Matthew 1:21 that Mary of Nazareth was the (not "a") fulfilment of the Isaiah prophecy. But this novel rule/law of Bible interpretation is the foundational principle for the belief that God has merely suspended His Old Covenant with Israel and temporarily instigated a New Covenant with the Church. Dispensationalism claims that God has two existing covenants with two groups of people- (i) Israel, and (ii) The Church. While I was grappling with all this, my father inlaw died suddenly. I was asked to take the funeral. I had had many conversations with my Hungarian father-inlaw about spiritual things and had met with deep resistance. After the funeral, my mother-inlaw, who I deeply appreciate, expressed her hope that my father-inlaw would be given a second chance to turn to Christ in the Millennial Kingdom on Earth. She had long been persuaded by the teachings of Charles Taze Russell (the founder of the Watchtower Bible and Tract Society). This led to me trying to have a genial written conversation with her about this aspect of Eschatology. Every time I tried to discuss the applicable Scriptures with her, I met with a novel way of interpreting the Scriptures which seemed to take the plain meaning of the text and twist it into an entirely different meaning. This led me to appeal to the classic principles of Bible interpretation. It was at this point in the ongoing discussions with the my mother-inlaw as we were discussing the finer aspects of Matthew 24, that I realised I was doing the very thing that I was accusing my mother-inlaw of doing: I was reading into the text of Scripture rather than listening to what the text was intending to give out. I find this the most embarrassing verse in the Bible. I spent a lot of time researching this verse and trying to reconcile how Jesus could be God in the flesh yet so wrong in His prophecy recorded in this verse. Coincidentally I also began my series on the Book of Revelation (around 2002). I was determined to only take out of these Scriptures what God had intended to be taken out. I would use the first four principles of hermeneutics and try keep my preconceived ideas out of the text. And while I was working through this huge problem with Matthew 24:34 I was discovering a whole set of new problems with the Book of Revelation if we merely apply the principles of sound hermeneutics to it. Exactly the same "problem" occurs in reading the Book of Revelation as occurs in Matthew 24. I had been taught that when Revelation used language like, "soon", "near", "at hand", "now", "this hour", it actually didn't mean it. In fact, what it actually meant was exactly the opposite to these words mean! The only reason plausible for doing this was that a plain reading of the text didn't fit the Dispensational (Futurist) paradigm! I was resolute to research Biblical eschatology exegetically (taking out of the text only what was originally put into it) rather than eisegetically(reading things into the text). Here's what I discovered, and why it became my biggest pradigm-shift. Matthew 24 was a conversation between Jesus and His disciples on the Mount of Olives. Hence, it is referred to as The Olivet Discourse. The discples point out the Temple to Jesus and how impressive it was. But Jesus dismisses this and declares that it will be dismantled stone by stone. In utter dismay, the disciples ask three questions: (i) When will this happen? (ii) What will be the sign of Your 'coming' (Greek word, parousia)? (iii) When will this age (Greek word, aionos) end? Understanding these three questions is essential to understanding this chapter. Jesus proceeds to answer to each question. Consider that. He answered, in detail, each of the three questions. If I was preaching this point right now, I would labour it! And the reason I would do so is because there are some who suggest that after Jesus has answered their questions He then declared that He didn't really know the answers because He was speaking out of His humanity, not His divinity! I find this opinion of Christ in Matthew 24 nearly blasphemous. (I explain why in this YouTube video.) I would also point out what the disciples asked, not what we think the disciples asked. 1.When will these things be? Jesus gives detailed descriptions of what was about to happen and then plainly stated the answer to this question: this generation shall not pass away until all these things take place (Matt. 24:34). A Biblical 'generation' is 40 years. If we consider that Jesus spoke these words in 30AD, He has just plainly stated all these things would be fulfilled by 70AD. 2. What will be the sign of Your coming? Note that the disciples did not ask- When will You return? The Greek word ὑποστρέφω (hupostrepho) is the word they would have used if they had asked When will You return? But instead, they asked When will You 'parousia'? This word means, reveal, appear, come, but specifically in this context it means, to come in judgment. The disciples had good reason to ask When will You come to judge?because the destruction of the Temple was the pinnacle of God's judgment on Israel in the Old Testament. This is the climax of the Book of Jeremiah. 3. What will be the sign of the end of the age?Despite the King James Version translating this word as "world", the disciples did not ask Jesus When will the end of the world be? Jesus has just said that the Temple would be destroyed and the immediate question from the disciples was, When will this (Temple) age end? Thus, Jesus was not talking about His return to resurrect and judge the world (described in Matthew 25), but was describing His judgment on Jerusalem and the abolishing of the Old Covenant (the Temple, the Priesthood, and the sacrifices), which were indeed done away with in 70AD when the Romans destroyed Temple stone by stone just as Jesus had said. If you're interesting in learning more about this, I wrote a book about it! It's available either as an eBook, or as a paperback. One of the most obvious problems with Dispensational Futurism is that its predictions based on its interpretations have consistently been wrong. This undermines the credibility of the Bible in the minds of some. As a pastor, I want those whom God has charged me to shepherd to have good reasons to have confidence in the Bible so that when life's storms and difficulties come, they will find the comfort and peace of God in the words of Scripture. To achieve this I need to help my congregation to understand how to read the Bible. The goal is to read the Bible literally. But there are two types of literal reading. The first is wooden literal where no allowance is made for metaphors, synedoches, idioms, allegories, parables, poetry, apocalyptic symbolism, perspectives, hyperboles, or narratives. The other type of literal is intended literal. This is where allowance is made for these types of literature and the goal is to discover what the author intended - not what the words the author used could mean. 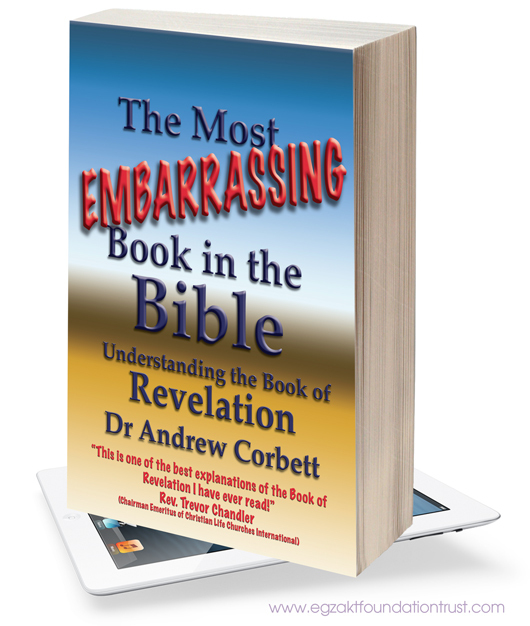 A few years after my Understanding The Book of Revelation had been released, one interested reader in it (The Most Embarrassing Book In The Bible) flew from Brisbane to Launceston to discuss it with me. For him, its contents were not merely theoretical. As I explained in The Most Embarrassing Book In The Bible what the future holds for the believer according to the Book of Revelation, especially in the life to come, he shared with just why this was so important to him. He was dying! He had drawn great comfort from discovering that everything in the first 19 chapters of Revelation had been fulfilled whichgave him confidence that the remaining chapters would similarly be fulfilled. But, as this book had been out for a few years, he wanted to personally check if I still stood by its contents. I did and I do. This illustrates the immediate pastoral application of sound eschatology grounded in equally sound hermeneutics. This view is known as Preterism (as distinct from Full-Preterism which regards all prophecy as being fulfilled). 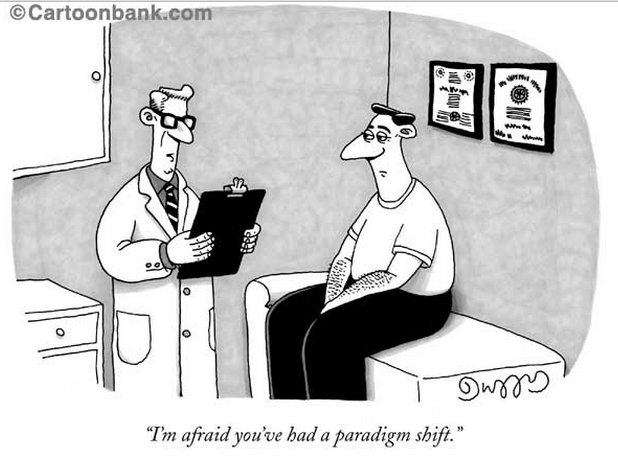 But this paradigm-shift came at a price. I was no longer able to hold ordination with the denomination I was serving in due to their emphatic Futurist Eschatological stance. However, it has been more than compensated for with untold dividends as many people have come to see why we have good reasons to believe what the God of the Bible has said in His Word. As I reflect on each of my three biggest pastoral paradigm-shifts, they have each arisen from a deep desire to faithfully serve God and His people by being faithful to His Word. ¶ I charge you in the presence of God and of Christ Jesus, who is to judge the living and the dead, and by his appearing and his kingdom: preach the word; be ready in season and out of season; reprove, rebuke, and exhort, with complete patience and teaching. For the time is coming when people will not endure sound teaching, but having itching ears they will accumulate for themselves teachers to suit their own passions, and will turn away from listening to the truth and wander off into myths. As I reflect on my upcoming pastoral anniversary I've also had cause to reflect on three of my most significant paradigm shifts over my pastoral career. I began to formally prepare for pastoral ministry in 1983 when I undertook my first Theological subject with ICI College. After completing two Advanced Certificates with them, I completed my Bachelor of Arts in Biblical Studies in 1996 with Emmanuel College. I was then invited to undertake Doctoral Studies with Cambridge Graduate School which I completed in 2002. I found my Doctoral studies both enjoyable and humiliating. I had to undertake a lot of course work and begin a Dissertation. I was so confident that my first complete of my Dissertation was so perfect that I had it hardcopy bound with an expensive blue fabric over card binding by the University of Tasmania print shop. I had to get multiple copies done to be sent to my two supervisors. After my supervisors examined it, a copy was returned to me with the red ink of their corrections, suggestions, and questions on every page! I was gutted. My dissertation would eventually go through another six drafts before it was accepted. The result of this humiliating and painful process was an increased ability for research, clearer thinking, and how dogged determination is always needed to help complete things that matter. This training contributed to my three significant pastoral paradigm-shifts. After my parents settled in Corio, Geelong, they became members of St. Matthew's Anglican Church in East Geelong. The minister of this church at the time was the Reverend Peter Payne. My recollection of Mr Payne was that he was the real deal. He led me through Confirmation which became a transforming experience for me at the age of 15. While I wasn't aware of the politics behind the scenes at the time, he left shortly after this as apparently too many in the church objected to him continually proclaiming the need to be converted to Christ through the new birth experience. But before he did, he organised for Canon John Chapman to hold a series of meetings. This was revolutionary. He presented the Gospel in a passionate and compelling way. He was humourous and very engaging. He made a huge impression on me and helped me to see that Christianity was not a religion, not just a Sunday deal, not a label for the Census Form, but a life of surrender and devotion to Christ that made every facet of life an act of worship of God. This was revolutionary! From the time of Mr Chapman visiting St Matthew's and calling for everyone to fully surrender to Christ and make Him the centre of our lives not merely the appendage to it, my parents (and therefore me and my brother and sister) became "full Sunday" Christians attending both the Sunday morning and evening services. I have maintained a passionate commitment of this expression of my devotion to Christ ever since then too. Mr Chapman introduced me to the previously unknown ministry of an evangelist. 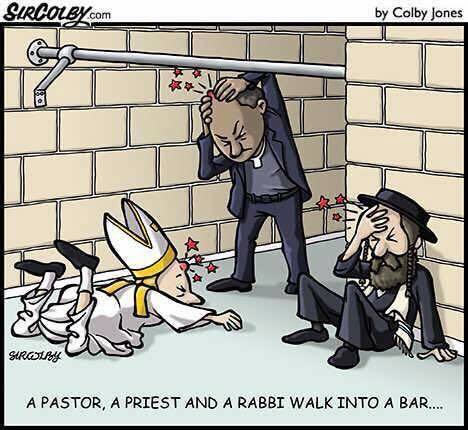 But shortly after this, Rev. Payne was compelled to leave St Matthew's and this new spiritual experience of my parents created a desire for a deeper experience with God. At the time their chain of furniture stores was hit by the rise in interest rates in Australia to around 18% (they are around 4% now). Business became difficult and my parents faced the real possibility of losing their home. They looked to God for help. 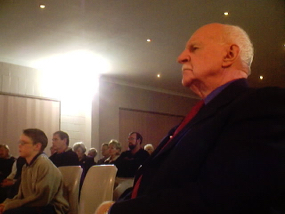 Murray Harkness, who had recently been employed in my parents' business, suggested trying a Pentecostal Church. We went to his Pentecostal Church one Sunday night in Ocean Grove. It was the weirdest thing I had ever seen in my life up until that point! But that night marked the beginning of a life-long journey for me. From that time I was introduced to the person, presence and power of the Holy Spirit. I began to see in the Gospels how Christ spoke about the coming Holy Spirit who would regenerate, sanctify, empower, comfort, gift, lead, the believer. ¶ "I baptize you with water for repentance, but he who is coming after me is mightier than I, whose sandals I am not worthy to carry. He will baptize you with the Holy Spirit and fire." As I read through the Gospel of John and the Book of Acts, I was struck by the Person, presence and power of the Holy Spirit. I saw that what Christ said about the Holy Spirit was still relevant for today. As a result I began to seek God for the baptism with the Holy Spirit. On a Wednesday night in a small Apostolic Church chapel in Cox Road Norlane in 1979, where a guest preacher from America invited people to come forward for prayer to receive the baptism with the Holy Spirit. I responded. Something very strange happened to me that night. A short time later, I had a Pentecostal experience which has abided with me to the present day. 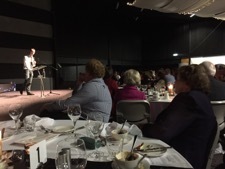 When I moved from Geelong to Hoppers Crossing for work there was no Apostolic Church there at that time and I joined an Assemblies of God Church. I became the youth leader. It was during this time that I experienced acute loneliness and an unnatural heaviness. I went on a three day fast to try and shake this off my life. Nothing particularly happened during these three days of fasting but within a week or so I had a strange, very vivid series of dreams about a girl. I saw her face, I heard her name, and I heard a part of her recent story. I told some of my non-Christian work colleagues about this dream. 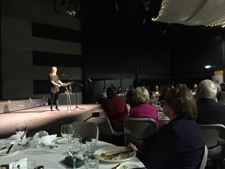 It was about a month later that I was at the regular Overseas Christian Fellowship meeting at Deakin University in Geelong, which Pastor Richard Winter had introduced me, to that I first met this girl. In my dream I heard her name was "Ken" and I was thrilled to discover that her actual name was Kim. She and I were the only Australians present in a meeting comprised almost entirely of Malaysians (at that time nearly all my friends were Malaysian). I asked Kim about some of the things I had seen in the dreams and she instantly began to cry and soon slumped to the floor. We talked for a long while and 18 months later we were married. I cite these notable experiences among the many I enjoyed so that there may be an understanding that I was, am, and will be, ever open to what the Holy Spirit can do. In 1990 I was credentialed with the Assemblies of God as a pastor. This was an amazing time to join a really great movement. 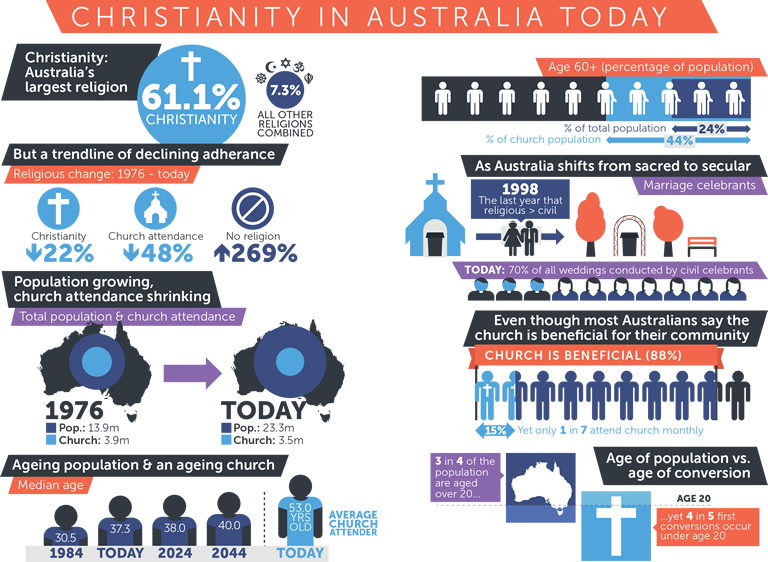 The period from 1977 to 1997, under the leadership of Pastors Andrew Evans and Phil Hills, the Assemblies of God in Australia movement had grown from 140 churches to over 800! Miracles were central to Assemblies of God ministry at this time. I think it would be fair to say that in every AoG church on any given Sunday during this period, there was prayer and ministry for God to work miracles in people's lives. This was a major thrust by evangelists. It was a major emphasis at the Conferences. There were teaching seminars and courses being taught and offered- How To Hear From God ... How To Heal The Sick ... How To Move In The Prophetic ... How To Be Led By The Holy Spirit. For the most part I didn't question this. But as I continued on in my studies and growth of God's Word I became aware that none of these things were prescribed or practiced in the New Testament. I also became increasingly convinced that the Reformed Theological views of God's Sovereignty and His grace were correct. This challenged me to examine some of my understanding about miracles - especially the miracle of salvation. I became convinced that salvation was by God's grace and not by human effort. This meant that there was nothing - nothing - any person could do to merit their salvation. Putting your hand up in a meeting didn't save you; coming forward in response to an altar call didn't save you; deciding to follow Jesus didn't save you - only the miracle of God's gift of salvation could save a soul! 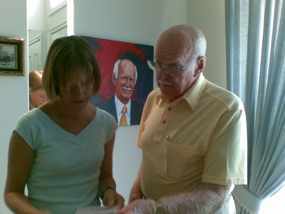 In 2006 I was invited to speak in London. I had been wrestling with how I could harmonise my undoubted Pentecostal experience with my emerging Reformed theology. My visit to England at this time helped to galvanise how this was possible. The Peniel Pentecostal Church held to Reformed theology and yet had a healing and miracles service each Friday in which people travelled from all over the U.K. to attend. The Pastor was clearly gifted. The first Friday night we were there we saw some extraordinary miracles. I still recall them to this day in amazement. The pastor spoke about the grace of God being the source of any miracle. Just as with salvation, there was nothing we could do to merit a miracle. Healing, he argued was not in the Atonement - but was an act of God's grace. I had prior to this began to explore this very notion, but it was now becoming very clear to me. God did not heal anyone because they got the words of the right prayer spoken, or because they had paid their tithes, or because they had fasted - or because they had done anything, except ask in faith (trust) - and even this was the result of God's grace. This was a huge paradigm shift for me. No longer could I think that God was subject to human efforts. On the contrary, I now realised that any move toward God or seeking Him was the result of God first doing something in that person. That is why we call it grace. ¶ And when the Gentiles heard this, they began rejoicing and glorifying the word of the Lord, and as many as were appointed to eternal life believed. This was a tremendous weight off my shoulders as a pastor. No longer did I think that someone's salvation was dependent on how well I did that Altar Call. Now I believed that it was the Holy Spirit who worked in the hearts of the unregenerate through the preaching of the Gospel. My role was simply to be prayerful and faithful to the Text as I discharged my sacred duty as a preacher. I became convinced that the working of miracles, such as healing, was also by God's grace. That is, no one had a "right" to it. If God chose not to grant healing, He was still a good, faithful, adorable God. If God did grant healing to someone, He was gracious to them. As with my first pastoral paradigm-shift, this second paradigm-shift magnified my vision of God. 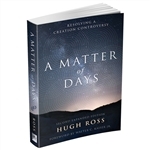 In the Creation events, I saw God as careful, methodical, patient, grand, organised, deliberate. The sheer vastness of God's Creation displays a glimpse of His immense glory. Because God saves, heals, delivers, regardless of someone's undeservedness, these miraculous acts are given by God graciously. This magnifies God's limitless love and reveals Him to be impeccably good, compassionate and merciful. I have just now returned from speaking with a large group of Year 11 and 12 students at the local Public College. The question that came up in the Q & A session over and over was, "Why does God allow people to suffer?" After explaining that God Himself has graphically answered this question by sending His Son to the world to suffer after experiencing rejection, humiliation, scorn, and mockery, and then to die the cruelest death, He is well qualified, willing and able to bestow the grace of comfort to all those who are similarly (but to a lesser extent) suffering and hurting. But there are no magical formulas to make God do miracles. And there is no miraculous reward for those who worship longer, louder, deeper. Yet, we are given this amazing promise from God that if we ask of Him anything, we will be granted a hearing. By doing so we are asking in faith because our 'ask' is in itself an act of faith. This is why every Sunday at Legana we will pray with and for people through the laying on of hands as we often seek God for a miracle. And it has been our delight that many times God has indeed been gracious and granted our petitions. And in the meantime, we worship Him as infinitely adorable whether He grants our request or not (Dan. 3:17-18). This paradigm-shift helps me to pastor those God has charged me to care for. The One we follow expects people to follow us. This gives Christianity a leadership culture. If you are a follower of Christ, you must be leader. Whenever the Church is at its strongest it is because it is led well. Because leadership is a part of the fabric of Christianity and the Church that Christ is building, His followers will display Christ-like leadership in their homes, their schools, their clubs, their workplaces, and the marketplace. Christ's leadership shows us that it is not about how many are following, but how they are led that matters. As great as The Christ's leadership was and is, He is most definitely not an incredible leader! ¶ But Peter, standing with the eleven, lifted up his voice and addressed them: "Men of Judea and all who dwell in Jerusalem, let this be known to you, and give ear to my words. Jesus is deservedly considered the greatest leader ever. His leadership was so attractive it commanded the highest loyalty from the least likely. It produced leaders who were bold, daring and courageous from people who were shy, uncertain, and unreliable. There was something about Jesus of Nazareth's leadership that was irresistibly attractive and inviting. If you watch Jesus lead you will be informed about how to be a better father, mother, student, employer, manager, or employee. This is not an exhaustive list, but note the following leadership traits of Jesus and consider how they apply to you. Three young men hopped on a bus in Detroit in the 1930s and tried to pick a fight with a lone man sitting at the back of the vehicle. They insulted him. He didn't respond. They turned up the heat of the insults. He said nothing. Eventually, the stranger stood up. He was bigger than they had estimated from his seated position - much bigger. He reached into his pocket, handed them his business card and walked off the bus and then on his way. As the bus drove on the young men gathered around the card to read the words: Joe Louis. Boxer. They had just tried to pick a fight with the man who would be Heavyweight Boxing Champion of the World from 1937 to 1949, the number one boxer of all time, according to the International Boxing Research Organization (second on the list is Muhammad Ali). They apparently said of Louis that he could knock out a horse with one punch. I struggle to think how he got that reputation, but the point is simple. Here is a man of immense power and skill, capable of defending his honour with a single, devastating blow. Yet he chooses to forgo his status and hold his power for others - in this case, for some very fortunate young men. Jesus was the epitome of humble. He withheld His infinite power for the good of others. He didn't promote Himself or seek His own glory - even though He is the only person who deserves it! If you are a person who is easily and often offended, you have a humility deficiency problem. By following Christ with the daily prayer, Lord have Your way in my life. Make me into the person You want me to be, you will find the path to strength is down not up. A humble leader is a servant-leader. ¶ When the days drew near for him to be taken up, he set his face to go to Jerusalem. Leaders have a destination in mind. Parents as leaders have the destination of developing character, competency and chemistry in their children that shapes them into well-equipped ambassadors for Christ. Pastors have a destination in mind for those they lead that looks like fully-devoted, humble, responsible, Biblically-informed, followers of Christ who know how to serve each other and lead others closer to Christ. Christ's leadership was focused on His mission. Ours should be too. Your best chance of having any parental leadership sway with your kids is to be authentic. Do you tell them to clean up their room as they hop into your pig-sty of a car? Being authentic involves walking the talk not just talking the talk. If I'm not spending time daily with God then my pastoral authenticity is a sham if I am telling you to spend time daily with God. Jesus calls His followers to follow Him - not perfectly (although that's the goal) - but authentically. ¶ Then Jesus told his disciples, "If anyone would come after me, let him deny himself and take up his cross and follow me." Diligence means with great care and persistence. Leadership is a marathon and a regular series of sprints (not just one sprint). It costs to be diligent. It costs sleep. It costs leisure. It costs social time. It costs financially. It costs me-time. It involves giving of oneself. Nehemiah is one of the greatest examples of a diligent leader. Have a read through his book and you can only admire his achievements and the diligence that enabled him to accomplish them. As humble, missional, authentic and diligent as Jesus was as a leader, He was not an incredible leader. Thus, the final aspect of this brief survey of Christ's leadership deals with His credibility. To be credible is to be trustworthy, honest, reliable, believable. When someone describes you as unbelievable they are not complimenting you! When someone describes you as incredible they are insulting you. Incredible means cannot be trusted, cannot be believed, cannot be relied upon. It is the opposite of credible. Jesus was not an incredible leader - He was a credible leader. And while we live in a generation with many incredible leaders, it is our time to shine as Christ's light bearers in a dark world by learning from Jesus how to be credible leaders.